I have to admit one of my favorite dishes is a gyro. 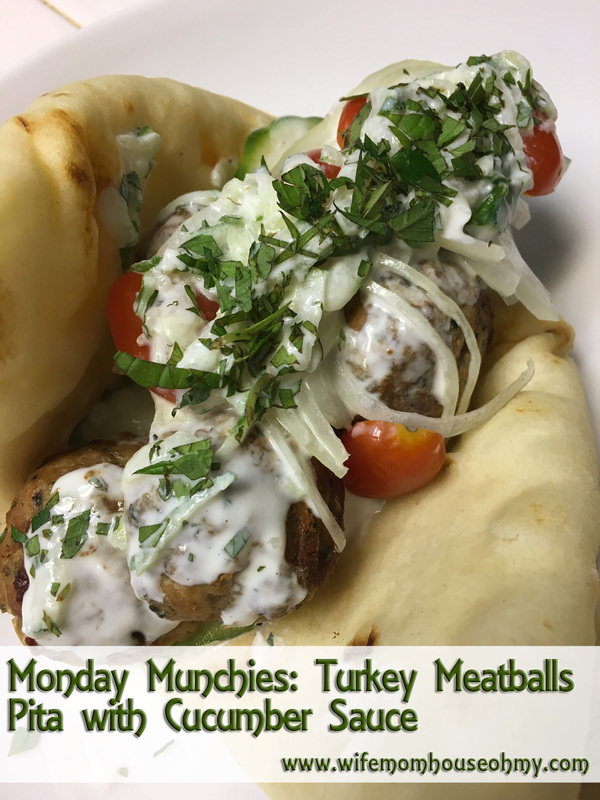 I adore the meat and love the seasonings and the scrumptious cucumber and yogurt sauce. That said, the process involved in making gyro meat is a very complex and specialized process. So I’ve never really been able to make this yummy sandwich at home. That is until I found a recipe in the Better Homes and Gardens magazine. Now I have modified it to meet my tastes and its not a gyro per say but its really good and really easy! 1. In a large bowl, mix the ground turkey and the Greek seasoning together until the Greek seasoning is well blended into the meat. Form into small to medium sized meatballs. Place on a broiler pan. Broil in the oven until golden brown. Make sure to turn them approximately every two to three minutes. Takes about 8-10 minutes to fully cook. 2. While waiting, shred the 1/2 of the cucumber with skin in a medium sized bowl. Add the yogurt, the sea salt, minced dill, minced mint and garlic powder together. Set aside. 3. When the meatballs are fully cooked, remove them and set aside. Place pita or naan onto the broiler pan and broil for about 2 minutes to warm and slightly crisp. 4. Assemble the pita sandwich by first spreading some of the yogurt dip on the pita. Then add the meatballs, the cucumber, the tomato and onion. Top with more sauce and minced mint. My husband is not the biggest cucumber fan but he even went back to grab more cucumbers for his sandwich. A definite repeat in my house and very much going to be a staple to our family monthly menu mix up.